Wisconsin has a dooring law that is intended to protect bicyclists. "No person may open any door of a motor vehicle located on a highway without first taking due precaution to ensure that his or her act will not interfere with the movement of traffic or endanger any other person or vehicle." 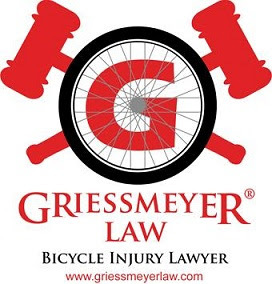 Under Wisconsin law, if a person in a car opens a door and interferes with the movement of a bicyclist, the person in the car is at fault, not the bicyclist. According to data from Illinois DOT people riding bicycles in our southern neighbor are getting taken out by doors much more often than they used to.